Versatility is a hallmark of the ŠKODA range, as the manufacturer has been creating models to suit a variety of motorists for many years. Today's cars represent uncompromising standards of craftsmanship, placing them among the most reliable in the industry. You will have the opportunity to discover them all with Johnsons in Wigan, Birmingham and Liverpool, and we are confident you'll be pleased by what you see. Our showroom houses the luxurious Superb saloon, as well as the bold Yeti and energetic Fabia. Each promises to excite when at the wheel, and you can find out for yourself by arranging a test drive soon. At the same time, our advisers will make you aware of our flexible finance plans, and answer any queries you have. 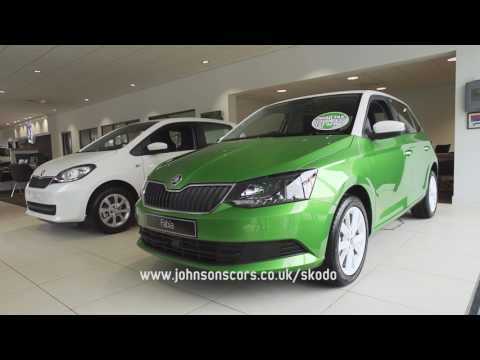 Click above for details on each new ŠKODA, and get in touch online or by phone for further information.